The Ultimate Portion Fix is based on Beachbody trainer Autumn Calabrese’s color-coded container portion control eating system. Instead of counting calories or macros you simply find your meal plan and eat the amount of containers suggested. All the calculating is done for you. It’s a great program for anyone looking to develop healthier eating habits. It’s not a diet, it’s a way of eating for life. If you’ve completed a Beachbody fitness program that includes the container system but have always wanted to know how the system works or why you should eat certain foods or why tomato sauce is a purple instead of a green, you’ll want to check out the Ultimate Portion Fix. It’s a deeper dive into nutrition. It also includes a section on helping kids eat healthier. I told my son about the program and showed him some videos of Autumn’s son using the program. He’s been asking me every day since when he gets to do it! Can’t tell you how happy this makes me as a mom. As I go through the program I’ll be sharing lessons I’ve learned on Instagram and Facebook. 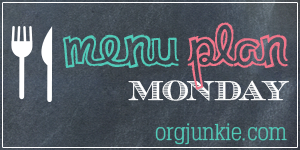 And of course you’ll see my Ultimate Portion Fix meal plan each week with container counts. I also plan to start a challenge group on April 1st. Sign Up below let me know if you’re interested in joining my Ultimate Portion Fix Challenge Group. Ultimate Portion Fix will be available for purchase starting March 18th! By purchasing Ultimate Portion Fix you will also get EARLY VIP ACCESS to the new real-time 21 Day Fix & 21 Day Fix Extreme workouts starting April 1st.